Now the Copenhagen care home residents begin to rejoice. The City of Copenhagen follows the lead of the city of Aarhus and introduces the successful “visit baby scheme” in care homes. There is just something that happens when a baby visits the care home. It creates joy that parents come by with a little optimistic miracle that the elderly may be allowed to hold and interact with. This is what has happened in Aarhus, and why the municipality started introducing the initiative in all of their care homes a year ago. Aarhus calls the initiative ‘visiting babies’. And the system has emerged as something of a success. Now follow the City of Copenhagen follows. Here at WHO in the UN City in Copenhagen, we will be celebrating the launching of the goals on Monday, September 28th. We will be having a little ceremony with the presentation of the Sustainable Development Goals, a symbolic soccer match in the building lobby, a reception, and raise the new Global Goals flag. Q&A: What’s the difference between dementia and Alzheimer’s? Recently, I was out at Dronning Anne Marie Centret (a care home in Copenhagen) to do some training on the Music and Memory program we are initiating here in Denmark. The dementia coordinator at the nursing home said she had just seen the documentary Alive Inside last week at a special showing held by the Alzheimer’s Association here in Copenhagen (Alzheimerforeningen). You can read my review of Alive Inside here. She said there was a Q&A session after the film, and I asked what was discussed and what kinds of questions were asked. She said the first question was on what is the difference between dementia and Alzheimer’s. I was kind of surprised to hear that this was the main discussion after the film, thinking it would be about music. But, I guess that the Alzheimer’s Association is the right people to ask this question to, and I hope that the audience got satisfying answers. After studying and working with dementia for the past 12+ years, it has become such a big part of my life that I forget that there are still a lot of people who are just learning about what dementia is now. When I get asked the question, I guess I figured it was because I am mostly meeting people in their 20s or 30s, and mostly when I am meeting new people in social situations who don’t know me or what I do. When I tell them that I work with technologies in dementia care, I am met with some blank stares. So, I follow-up with saying, “like Alzheimer’s disease,” and that usually gives more meaning, but there are many who only know the word Alzheimer’s and don’t understand what it is. So, getting back to some of the main issues around changing people’s perceptions of dementia, I thought it would be a good idea to address the question here as well. Dementia is a syndrome, this means that it is a cluster of symptoms that occur together. This means that dementia is a collection of symptoms, typically including progressive memory loss, loss of executive functioning, and other cognitive abilities. Alzheimer’s is a disease, this means that it is a disorder with an underlying cause. It also produces dementia symptoms. Alzheimer’s is considered a disease because it has a distinct pathology – the plaques and tangles that form in the brain are the cause of Alzheimer’s disease and we know that it starts in the lateral entorhinal cortex and spreads functionally outward. Unfortunately, we don’t yet know what causes the plaques and tangles to form or why some people who have them show the symptoms of Alzheimer’s while others who have them don’t have symptoms. Alzheimer’s Disease is the most common diagnosed type of dementia – it is only one of over 100 of types (or causes) of dementia. If we think of dementia (the group of symptoms) as ice cream, Alzheimer’s is one flavor. Other flavors include Lewy Body Dementia, Frontotemporal Dementia, Vascular Dementia, etc. Each have their own symptoms, depending upon which part of the brain is affected. A variety of tests are used to rule out other causes for the dementia symptoms (stroke, traumatic brain injury, Lyme disease, vitamin D deficiency, etc. ), as many different conditions can cause the symptoms and sometimes the symptoms are reversible. Only when no other cause can be found for the symptoms, a diagnosis of dementia or probable dementia is given. If other causes can be found, doctors should give dementia as a secondary diagnosis. Sometimes MRI or PET scans show damage to the brain, other times not. Sometimes comprehensive neuropsychological testing can help to differentiate the type of dementia. Technically, an autopsy is the surest way to confirm the type of dementia, and often there is mixed dementia – a term that means there is more than one variety of dementia occurring in the brain. Dementia is a group of cognitive symptoms. Alzheimer’s is one type of dementia. Alzheimer’s is the most diagnosed form of dementia, and there are over 100 different types of dementia. For more information on Alzheimer’s disease, including a great video that explains what happens in the brain with the disease, check out my post – Spread the Facts on Alzheimer’s Disease. Still have questions? Feel free to contact me privately, or ask your question in the comment section, below. This YouTube video is also a great explanation of the difference between dementia and Alzheimer’s, with more examples and details on the differences. The visual quality of the video is poor, so don’t worry, it’s not your eyes 😉 And it’s still a really informative video. What’s it like to be an unemployed dementia specialist? Shortly said, it’s incredibly frustrating. By 2015, there are very few people who have not hear of Alzheimer’s disease or another type of dementia. Many people have also had personal experience with a friend, family member, or community member who has developed dementia. Many people are also aware that there are more and more people being diagnosed with dementia, and that there is a growing demand for quality care and services. Most governments specifically announce an increased need for qualified professionals in the area of dementia. In a time when there is a growing demand for dementia specialists, it is both confusing and counteractive to be unemployed. In the future, there will be significantly more elderly immigrants with dementia, and by 2040 as much as 67 per cent of the older immigrants will be from non-Western countries. This provides a number of challenges in the health services and care sector. The Migration School is the largest training in the care of minority groups in Scandinavia and the first research projet in Europe which has focused on diagnostic methods associated with dementia. It writes the Capital Region in a press release. Doctors and caregivers in dementia often face a number of challenges in working with people with a cultural and linguistic background far from the Danish. First, older immigrants are generally less likely to seek medical advice in connection with memory problems. Second, the health care sector often has difficulty diagnosing those who do seek help because of language and cultural barriers. And thirdly, Denmark has no special care services that meet the often different needs of elderly immigrants who actually are given a dementia diagnosis. The reason why immigrants are less likely than other citizens to seek help if memory fails is partly due to the lack of general knowledge about dementia, and partly due to many viewing dementia as a shameful disease that you do not talk about. There is a lot of work in raising awareness about what dementia is and that there is help at hand. We assume that only about 10 per cent of the expected number of immigrants with dementia are actually being diagnosed by a doctor. In other words, there are many who go around without getting the help they need, says Rune Nielsen. The few immigrants who seek medical assistance risk a worse clinical investigation than patients with the Danish language and cultural background. The result is often less accurate diagnosis. The diagnostic tools that doctors and neuropsychologists use are based on the patient attending a Danish school and being familiar with Danish culture. (For example, the cognitive tests used in Denmark would include questions about Danish current events, such as the current Prime Minister, and common phrases in Danish – all of which are relevant to the culture and language). But many older immigrants have low education and in many cases are also lacking a general understanding that it requires many studies and many visits to the clinic before the doctor can reach a potential diagnosis. Just the fact that the diagnostic tools require knowledge of the Danish language and culture is a significant problem. By comparison, an older person who was born and raised in Denmark would face the same challenges to be thoroughly examined for cognitive problems in England, for example, although they may speak the English language, says Rune Nielsen. There is therefore a need for new cross-cultural diagnostic tools when a suspected dementia diagnosis should be confirmed or denied. But dementia often results in changes in personality and behavior, which can make it very difficult for the relatives to provide the care. Today, it is about 7% of all Danes older than 65 years who live in nursing homes, while only 1% of the older non-Western immigrants in Denmark living in a nursing home. There can be many reasons that immigrant families do not send their elders to a Danish care center. Firstly, care centers are either linguistically or culturally attuned to their health and care responsibilities. Secondly, there is an economic aspect, where some immigrant families simply cannot afford nursing home care. And third, there is a tradition for – and expectation – that the children take care of the older generation. But this not always in harmony with the Danish housing and culture, where it is the norm that all adults in the household work outside the home. Denmark has two diversity nursing homes, in Aarhus and Copenhagen. They can be seen as the first step in relation to equip the Danish care sector for the growing group of senior citizens with different cultural and linguistic backgrounds. Whether this is sufficient to address the growing needs and the many, often complex, issues related to cross-cultural care, only the future will tell. 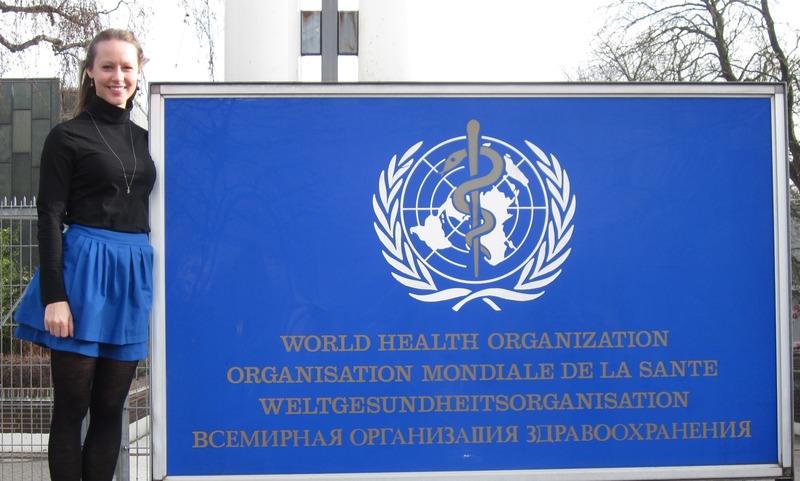 This is the summary of my internship from my work with the World Health Organization Region Office for Europe, on the Global Network of Age-Friendly Cities and eHealth. The theme for Dementia Days 2015 in Copenhagen, Denmark is “A dementia friendly society.” The conference takes place May 11-12 in Copenhagen and is largely targeted towards the Danish professional sector. Dementia Days is an annual multidisciplinary conference on dementia, where more than 900 professionals from across the country meet over two days. Dementia Days appeals to both professionals and managers who work with the diagnosis, treatment, social work, and care of people with dementia. The conference is an opportunity for further training for employees and managers in health and social care. Relatives and volunteers in associations may also benefit from taking part in the conference. The digital society – a dementia friendly society? Copenhagen Municipality inaugurated Wednesday a new test center to develop welfare technology for the elderly. “With the center, we must develop unique solutions while being incubator for export successes in cooperation with companies, researchers and the elderly themselves,” says Ninna Thomsen. The new test center can be the first in the world to produce a series of SmartTouch exercise machines where users by means of an electronic bracelet can get the machines to adapt their training level. In connection with the inauguration, it will also be possible to see a test apartment in 3D format which will be ready for use this summer. At the same time there is the possibility for a walk in the dome – cycle engine, which via Google Street View provides older sense of realistic bike tours around the world. Living Lab Strandvejen is the capital’s largest test center and the City of Copenhagen is investing 12 million kroner (about $2 million) in the project in the coming years. Københavns Kommune indvier onsdag et nyt testcenter, der skal udvikle velfærdsteknologi til ældre. Københavns Kommune indvier onsdag et nyt testcenter for velfærdsteknologi. Centeret skal udvikle nye teknologier til gavn for ældre- og sundhedsområdet. Living Lab Strandvejen er navnet på det nye testcenter for velfærdsteknologi, som sundheds- og omsorgsborgmester i København Ninna Thomsen (SF) i dag indvier. På testcenteret skal virksomheder, forskere, ældre, pårørende og medarbejdere i fællesskab udvikle nye teknologier, som skal gavne ældre i både ind- og udland. “Med centeret skal vi udvikle unikke løsninger og samtidig være rugekasse for eksportsucceser i samarbejde med virksomheder, forskere og de ældre selv,” siger Ninna Thomsen. Det nye testcenter kan som det første i verden fremvise en serie af Smart Touch-træningsmaskiner, hvor brugerne ved hjælp af et elektronisk armbånd kan få maskinerne til at tilpasse sig deres træningsniveau. I forbindelse med indvielsen vil det også være muligt at se en testlejlighed i 3D-format, som skal stå klar til brug til sommer. Samtidig er der mulighed for en tur i kuppel-cykelmaskinen, som via Google Street View giver ældre følelsen af realistiske cykelture over hele verden. Living Lab Strandvejen bliver hovedstadens største testcenter og Københavns Kommune investerer 12 millioner kroner i projektet de kommende år.